Michael Brown is a man who has set himself up as the Christian mediator. The problem is, once he deems someone to be his friend, Brown knowingly and purposefully turns a blind eye to whatever false doctrines they teach. It doesn’t matter how respectful one is when they raise questions and concerns, all discerning Christians will be thrown into the “hyper-critic” category. Michael Brown’s “hyper-critics” are “off base” and “mistaken”? Therefore, it isn’t surprising that Michael Brown would be willing to defend the most outlandish and absurd teachings that have crept into the Christian Church. A perfect example would be when Michael Brown came to the defense of his friend Jennifer LeClaire because she was being criticized for her “sneaky squid spirit” doctrine. Recently, he has shown how gullible he really is. His good friend Jonathan Cahn is nothing more then a con-artist who, back in 2011, hyped the Christian community up with his ‘Harbinger’ nonsense. 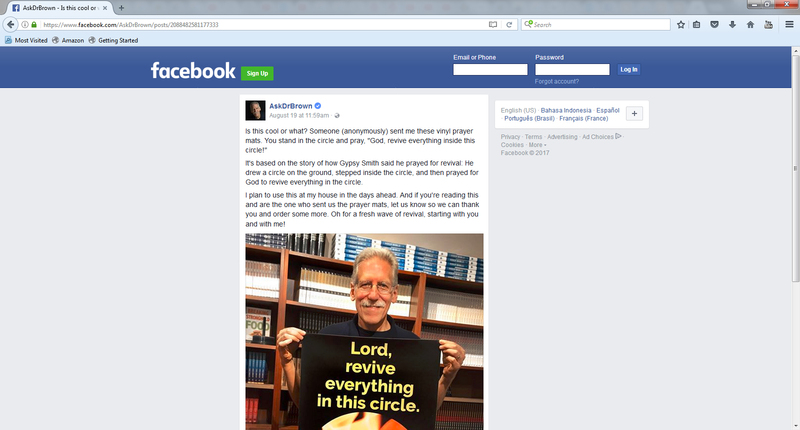 The fact that Brown is also proudly ‘Facebooking’ the news that he is guest-hosting ‘for Sid Roth today – the day of the solar eclipse’, clearly indicates that there is something very wrong with his level of discernment – is God handing him over to this superstitious nonsense? And no discerning Christian would boast about working with Sid Roth. It’s based on the story of how Gypsy Smith said he prayed for revival: He drew a circle on the ground, stepped inside the circle, and then prayed for God to revive everything in the circle. While some Christians saw through this and ‘defriended’ Dr Brown on Facebook instantly, others protested when some tried to argue respectfully. Do not be fooled by unbiblical arguments. Dr Brown is practicing witch craft and promoting it! He even attributed this practice to the occultist Rodney “Gypsy” Smith. He couldn’t have made it clearer that he knows this practice is not found in the bible by attributing it to the pagan origins of Rodney “Gypsy” Smith. Find a piece of chalk, and find an empty room. Go into that room and shut the door. Draw a circle on the floor with that chalk, kneel down in that circle, and ask God to start revival right there. Dr Michael Brown is becoming his own worst enemy. He is engaging in and working with, his friends who promote ‘Harbingers’, blood moons, new breeds and bizarre imaginings one would expect of lunatics. Dr Brown is a man who appears to have discarded God’s completed work, the bible, to believe in the impossible… like a sneaky squid spirit… or a purple, atomic wedgie demon called Larry. 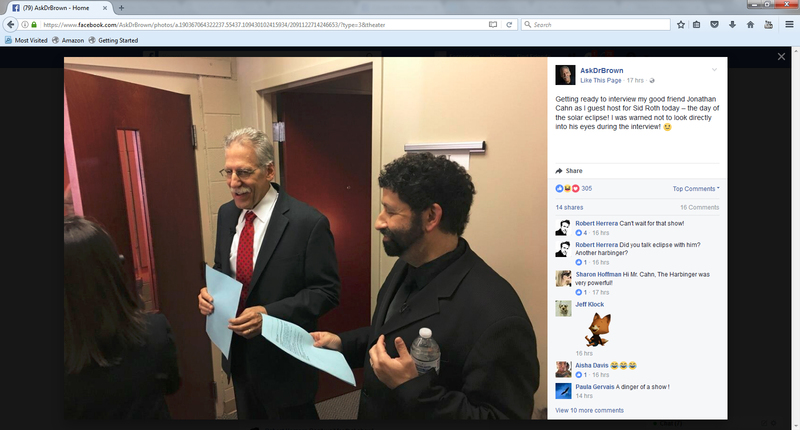 If you try to convince Dr Michael Brown that good is evil and evil is good – all he can say is, “I can’t say if it’s false or true.” Why is he promoting Jonathan Cahn? Or speaking as a “guest host” for Sid Roth? Or tapping into occultic powers and methods in an attempt to receive revival power from God? Dr Brown, whether people are cessationist or not, attributing demonic works as though you are doing the works of the Holy Spirit is incredibly dangerous. ‹ Dangers of Australian Bible Society (Part 2): Producing problems for the sheep.